Like many I am a fan of Zombie flicks. Pure popcorn entertainment. I haven’t read many books in the genre. And though Justin Cronin’s The Passage trilogy is more a post apocalyptic vampire tale, the overarching story to me is very reminiscent of the classic Zombie ‘end of the world’ story. I will set the scene and say that I really enjoyed this book. It is a change from my usual genre and I find that often it takes me longer to read non sci-fi/fantasy books. The Twelve didn’t present that challenge. I couldn’t stop reading it. It has a fast pace, with plenty of action, several different interwoven stories and characters that you can relate to, but also feel like they are from an alternate earth. 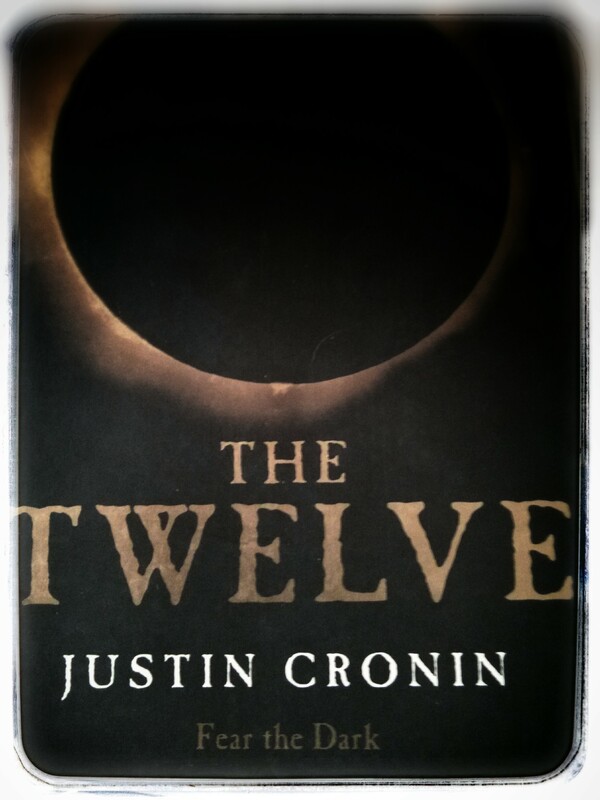 I read The Passage many years ago and when I started reading The Twelve I had no idea what was going on. Honestly … 50 pages in I stopped, had to hop onto Google and read a synopsis of the first book, to remind myself of what exactly had happened. If it’s been a while since you read book one, I highly recommend you do this. Otherwise it can be a little difficult to keep track of what’s happening and which characters you should know, and which are new. Once my memory was jogged I got right in and loved it. The book introduces some new characters straight away and takes you back to the beginning of the viral plague. I was actually surprised not to take off with the character from The Passage. For a little while I was actually wondering whether the book was going to have a completely different cast all together. But Cronin does a wonderful job of bringing the story of the new characters together with those from book one. It is actually the highlight of the book to see new and old join together. The Twelve builds to a terrific finale which made me glad I stuck with it to the end. Overall this trilogy is about modern humans. A good post apocalyptic tale with zombies, vampires or any other creature should be exactly that. The time jumping and shift from character to character at the beginning gets a little confusing, but by the middle of the book you are thoroughly caught up in humanities struggle for existence. Cronin has a wonderful style of writing which is easy to read. It never feels heavy or mentally draining. It flows page to page, with breaks at just the right spots to keep you engaged. With the movie rights having been purchased for The Passage I hope more people will be encouraged to pick up these books. They are a hell of a read and a great window into a world that could be. This entry was posted in Reviews and tagged Book reviews, Horror, Justin Cronin, The Passage, The Twelve, Vampires by blottingaway. Bookmark the permalink.